McNary senior Grace Condello earned a nickname during The Wizard of Oz—Director Grace. While Condello, who had a bad habit of accidentally telling her castmates what to do on stage, has never directed a show before, it has been a natural fit. Condello is one of 12 student directors participating in the McNary One Act Festival this year. The festival, which features 10 original one act plays, runs Jan. 18-20 at 7 p.m. in the Ken Collins Theater. Tickets are $5 and available at the McNary box office each night beginning at 6:30. The directors, four of which are co-directing on two one acts, had more than 20 student written scripts from which to choose. “I felt really bad because some of them were so creative and so out of the box but it would be so incredibly difficult to do it,” said Saige Baldwin, who is one of three McNary students directing her own script. “Baldwin’s one act, Stay, is a love story between two teenagers—a boy who wants to join the military but his girlfriend wants him to stay. Baldwin was thinking about the draft during the Vietnam war and her own friend who recently left for the Marines when she wrote the script. Since Baldwin is in McNary’s technical theatre class, she’s also building her own set. Kennadi Thomas and Abrianna Feinauer also wrote and are directing their plays—Vin and I and Just Another Average Play. McNary drama director Tom Cavanaugh encouraged the students who wanted to both write and direct. “In the past when I did one acts at my previous school, the kids who wrote their own were way more excited and fired up to do their piece than the kids who picked someone else’s,” Cavanaugh said. Condello received one of the more popular pieces—The InBetween by Kaitlyn Duncanson, which tells the story of a girl named Finley, who is in a coma and meets two characters, life and death, who try to convince her whether to live or die. Both Condello and Baldwin have learned a lot. “There’s so many things that you have to keep track of as a director, lights and cues and you have to write in everything in your script and make sure you have costumes and props,” Condello said. Sydnie Gould wrote two scripts, Inside, Outside and Everywhere in Between, directed by Bella Fox, and Stuck in Traffic, directed by Ivy Parker. The festival also includes The Golden Crane, written by Michael Hitchcock and directed by Jonas Honeyman and Madelyn Hurst; Fear is a Four Letter Word, written by Jordan Sheldon and directed by Rachel Herriges and Jacob Fritts; Fitzcarraldo, written by Wocus Gibbons and directed by Rose Nason; and Odd School High: Anti-Love Project, written by Jaden Elders and directed by Connor McCormack. Fifty actors, who each auditioned for the directors, are participating. 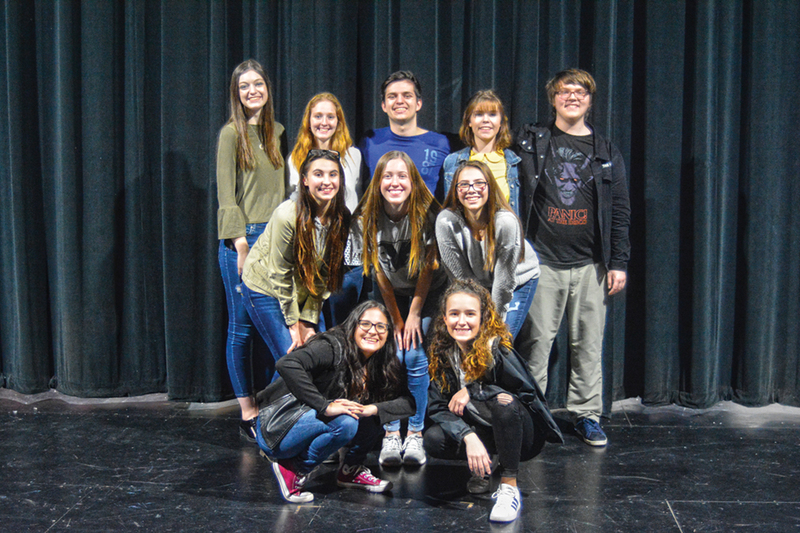 The One Act Festival continues to grow at McNary after having seven original student directed and written plays the past two years. “A lot of kids wanted to experience what directing was like,” Cavanaugh said.